2. Works well in dry and wet canal and Operated by 3 pieces of AA batteries. 3. Self Calibrating and 0.1 mm length determination. 4. 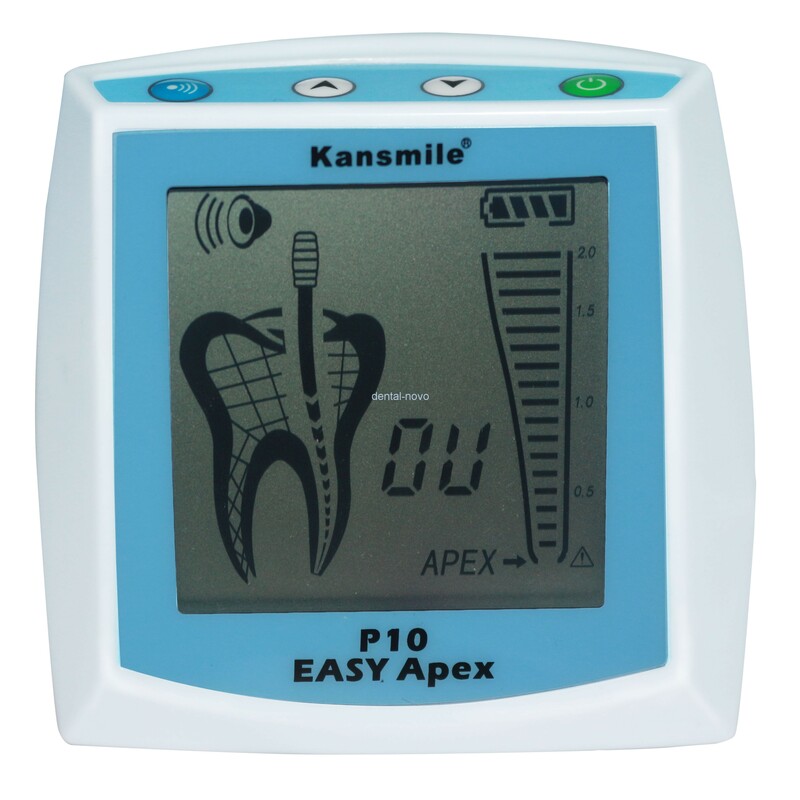 Large LCD display with real-time graphic of root canal. 5. Adjustable volume of the sound indicator and different tone of the sound indicator. 6. Adjustable apical constriction (range 0--5mm). 7. Autoclavable file holder and contrary electrode to avoid cross infection. 8. Steady reading around the apical formamen and auto power shut-off.